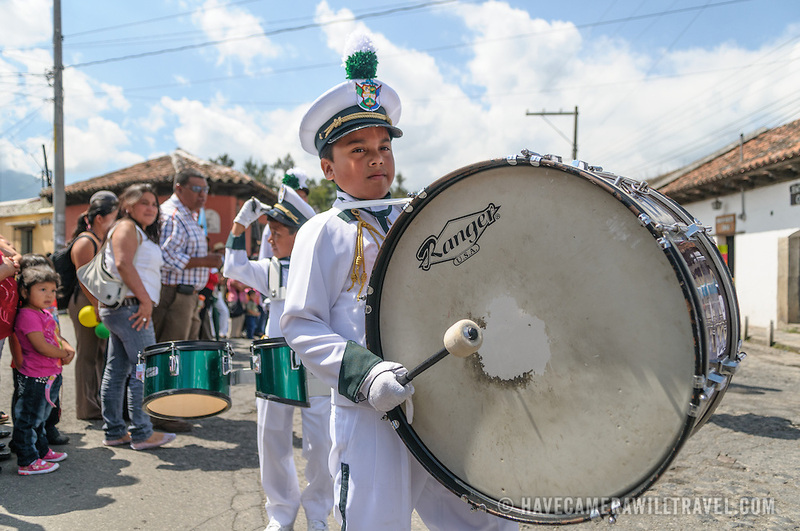 During the morning on the day before Guatemalan Independence Day (which is celebrated on September 15), hundreds of school children from Antigua and the surrounding villages march in a parade of school groups in Antigua, some in costumes and others in their school uniforms. The parade includes school marching bands and cheerleaders as well. The procession starts at Parque Central and weaves its way past the bright yellow La Merced church and onto the municipal stadium.